My son is 17 months old and we have been doing EC with him since he was 2 weeks old. It doesn't seem to be working the way we expected. He has been naked at home and wears a diaper when out. Most of the time he tells us before he poops, but with only seconds to spare. Although sometimes he tells us he has to pee before he does, he usually tells us as he is going. He often doesn't want to be bothered when I know he needs to go, refuses, then pees on the floor a minute later. Am I doing something wrong? Sometimes I feel very frustrated with the situation. A: First of all let me commend you on being so close with your child and so dedicated to EC. I'm glad to see that you acknowledge the importance of not pressuring the child. To me it sounds like you guys have a pretty good EC relationship. He is in an age of explosion of knowlege of his environment. There is a lot for him to do and think about- it might be hard for him to keep his bladder in mind when he is so busy. That could explain why he sometimes waits until the last minute to communicate what is happening- and sometimes not at all. Also, I am curious what his non-elimination communication is like. Does he talk or sign a lot? When does he talk the most? How does he let you know he is hungry? I think a lot of parents of children the same age as yours feel frustration because they know their kids know certain things, yet the kids aren't using communication very effectively yet. If you are feeling like the periodic offering of the potty is pressuring- then back off a little and see if there is a change. 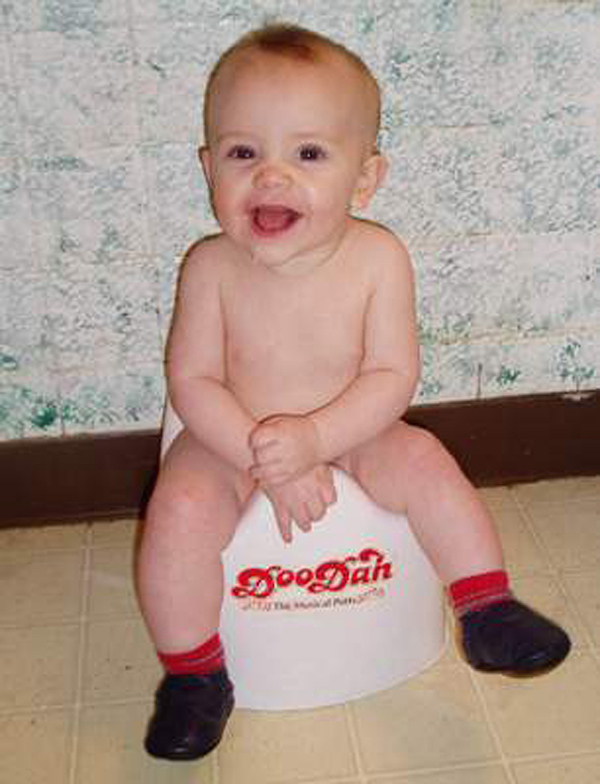 If you don't offer the potty except when he communicates what happens - how do you feel? How do you think he feels? Do you have more misses or does it stay about the same? If you decide that periodically offering the potty is not increasing the amount of pressure felt then continue to do it as he is going to need a little help keeping his bladder in mind. When offering, try to do so when he is in between tasks. Right after he drops one toy and before he goes for the next is a good time. Some mothers don't fully offer the potty either- just ask him how his bladder is doing- you can judge by his reaction what the next step needs to be. I am also curious what happens when he does pee just standing there looking at you or when he says pee as he pees. How do you react? What do you say? What is that moment like? Have you ever asked him to "hold it" while you get him to a receptical or get a receptical to him? The moment he looks at you when he goes is an amazing opportunity for communication. He is communuicating with you- the fact that he looks at you tells me that, it's just that the communication was too late. Now that my own son is becomming a toddler I occasionally take a day where I do nothing but play with him and communicate. I try to get in tune with his patterns again. I always feel better after a day like that and my son always communicates more and I understand more. This isn't a practical suggestion for everyone, it's just something that I use when I feel like things aren't flowing well. I agree that with communication it will all fall in to place eventually.